Please note: Insurance is not needed to see our doctors. 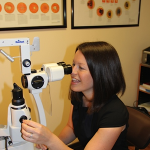 Please inquire about our affordable rates for first-rate eyecare. ** – as an Out of Network Provider, we can see you and you submit the receipt directly to VSP or Eyemed. We do accept other plans as well, so if you do not see your plan listed here, please give us a call and we would be happy to assist you. Our staff is always available to answer any questions regarding your benefits.